The Second Battle of Breitenfeld, also known as the First Battle of Leipzig (October 23, 1642), took place at Breitenfeld (4 miles north-east of Leipzig), Germany, during the Thirty Years' War— fully eleven years after the first battle at the crossroads village had unbottled the Swedish forces under Gustavus II Adolphus wherein he'd handed Count-Field Marshal Tilly his first major defeat in fifty years of soldiering on the same plain. 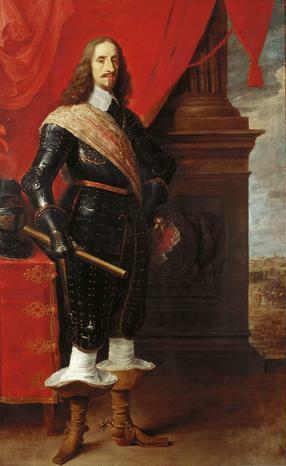 Both battles were decisive victories for Swedish led forces during the protracted Thirty Years' War in their intervention on behalf of various Protestant "Princes" of the generally small German states against the German Catholic League formed to stamp out Protestantism in Central Europe. In this second clash between ideologies for the prized Saxony city of Leipzig, the Protestant forces, led by Field Marshal Lennart Torstenson, defeated an army of the Holy Roman Empire, led by Archduke Leopold Wilhelm of Austria and his deputy, Prince-General Ottavio Piccolomini, Duke of Amalfi. The Imperial army had 20,000 casualties, and 5,000 of them were taken prisoner. 46 guns were also seized. 4,000 Swedes were killed or wounded; among them, General Torsten Stålhandske, who led the Finnish Hakkapeliitta Cavalry, received a serious wound. With Vienna threatened, the Emperor assembled a large force under Piccolomini and Archduke Leopold. 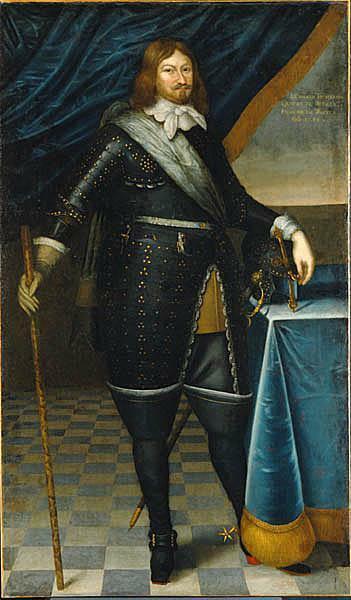 Torstensson fell back through Silesia and besieged Leipzig in Saxony. On 2 November, 1642, the Imperial forces caught up with the Swedes. Torstensson, outnumbered, fell back on Breitenfeld. While the Imperials were yet assembling into their ranks, Torstensson led his army against the enemy left. They charged through a deadly cannonade, broke the Imperials and rolled up the remainder of the Habsburg army. In this second battle of Breitenfeld, the Imperials lost half their army dead or prisoner. Leipzig fell within the month.